The first five years of life form the foundations of the child’s physical and mental growth and development. Studies have shown the mortality and morbidity are high among this age group. The Department of Health established the Under Five Clinic Program to address this problem. 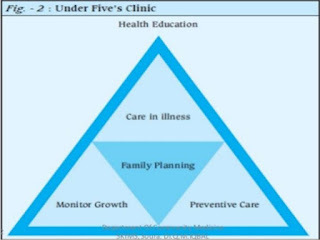 Monitor growth and development of the child until 5 years of age. Identify factors that may hinder the growth and development of the child. Recording of immunization, vitamins supplementation, deworming and feeding. Provision of IEC materials (ex. Posters, charts, and toys) that promote and enhance child’s proper growth and development. Provision of a safe and learning – oriented environment for the child.